Your wedding should be one-of-a-kind and beautiful, and it should be a day you want to remember for the rest of your life. Wedding invitations may send to your guest already. In addition to that, you will want pictures that you can continue to enjoy through future years. What are some unique photography packages that you can select? 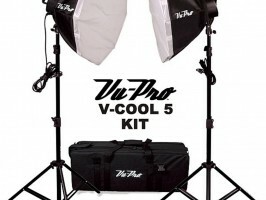 Strobe Or Continuous Lighting for My Photo Studio? This is perhaps the most asked question that we hear so we decided to post this page of information. We hope you find it helpful. First: There are two main categories of photo studio lighting. Continuous and Strobe. Lets talk about strobe first. Strobe lighting is a flash type lighting that is similar to the flash on your camera. All strobe lights have a flash tube that fires only when the camera transmits a signal for it to fire. We will get into that in a minute but first, let’s discuss the two main groups of strobe lighting.